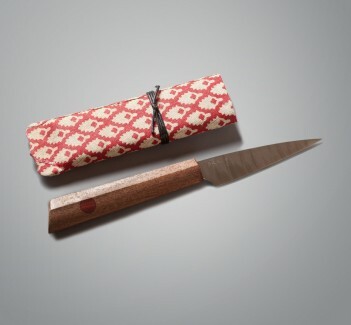 A handmade paring knife in rosewood and mesquite by Don Andrade of southern California that you'll find no shortage of opportunities to put to work in the kitchen. The gentle contours of a hand carved handle that fills the hand at 5.25" balances the knife perfectly for precise control of the blade during intricate cuts, or fast slices of a favorite veggie. 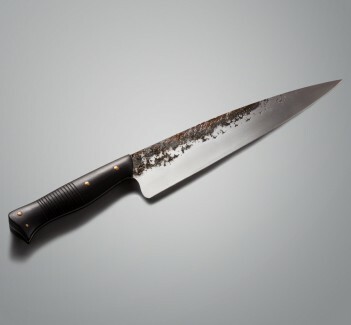 Fully hardened 1095 carbon steel forms the blade, ground first with a convex edge and finished with a disc. Included is the cloth-covered wrapped paper storage sheath as is expected with Don's knives. One of several from Don Carlos Andrade, this classic paring knife features a rosewood handle with mesquite inlay. A chef with 20+ years of carving and knife making experience under his belt, Don creates not only beautiful, but highly functional and finely tuned tools for the kitchen. Look for more one-of-a-kind pieces from Don on our site. Well made and looks beautiful Mike C., Mass. 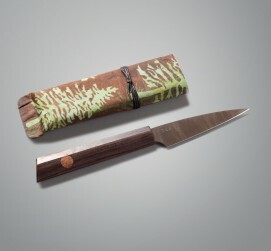 Just received the Don Andrade Rosewood & Mesquite Paring Knife. It is well made and looks beautiful. Carbon steel gives it a unique character. The 5" handle gives a nice counterbalance to the blade. 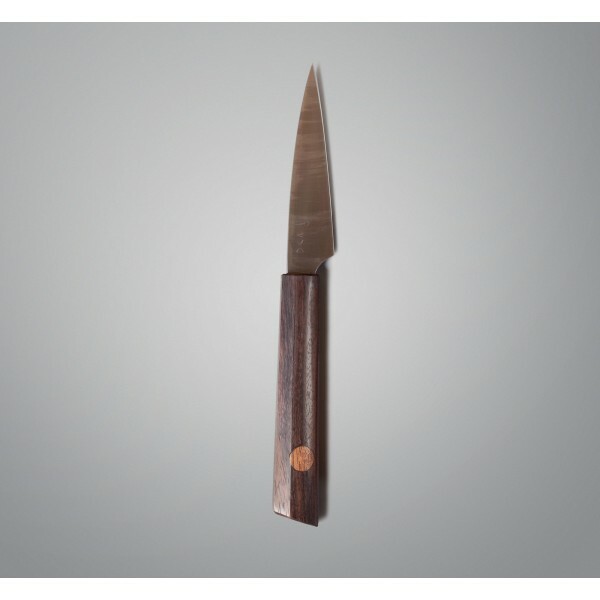 It's listed as a 3 3/4" paring knife, but come off feeling more substantial in the hand. I like the sturdy sheath, although it's only made from cardboard & fabric. Thank you for the carefully packaging and speedy delivery.